Leaving A Charitable Legacy In Your Will? As a nation we are constantly presented with opportunities to donate to the millions of charities which exist in the UK, whether it be taking part in or sponsoring fund-raising events, dropping our small change in collection boxes or paying a regular monthly amount from our bank accounts. It’s a fact, however, that around 15% of the donations received by charities in the UK come from legacies specified in the Wills of the deceased. One reason for this may be because such donations are exempt from Inheritance Tax for the purpose of valuing an Estate. By donating a fixed amount (a pecuniary legacy). By donating a particular item of value – perhaps jewellery, art or shares in an investment (a specific legacy). By donating a share of what remains of the Estate when all debts, costs and other pecuniary and specific legacies have been paid (a residual legacy). In all cases the charity concerned should be named, its registered address and charity number clearly stated in the bequest. 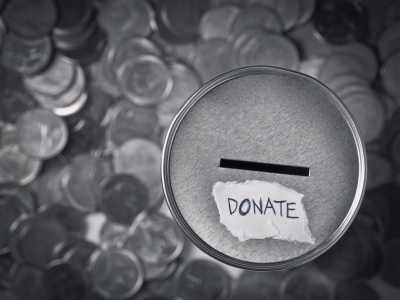 Qualifying donations can not only reduce the amount on which the 40% rate is paid, but where 10% or more of an Estate value is donated to a registered charity, a lower tax of 36% may apply. As always, it’s wise to take professional advice before considering making a donation for the purpose of reducing or even eliminating any liability to Inheritance Tax. The rules for this tax are not straightforward, and calculations (particularly when claiming the lower 35% rate) are complex and should be undertaken by a qualified accountant. After accounting for liabilities, reliefs and exemptions, your Estate may not exceed the threshold of £325,000 anyway. Some charities are offering a free Will-writing service if you include a legacy to them, but generally speaking, it is preferable to use the services of a solicitor. Where a Will is drawn up by a charity, there could be an argument for “undue influence” if other beneficiaries consider a charitable legacy to be inappropriate. It’s worth knowing that an Executor, with the agreement of the other beneficiaries, can change a Will, to make or increase a charitable donation in order to allow the Estate to take the 10% test. In other cases, the cost of obtaining valuations of the various components required to meet the complicated terms of the lower rate, may deem it disadvantageous to make the claim. Of course, you don’t have to wait until you are dead to make a donation to your desired charity – if your reason for doing so is simply to support the cause! For more advice on leaving a charitable legacy, please contact Green and Co.